With our video camera system we and view your chimney from the inside! This pictures show creosote that has burned after and chimney fire. You can also see the crack next to it. 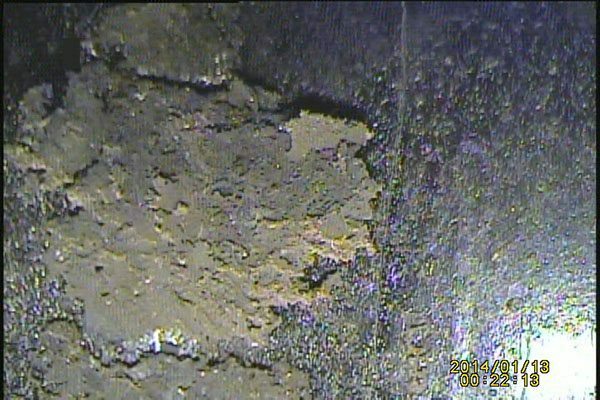 Here is a picture from our video inspection tool, showing a crack in the chimney titles. Copyright Ablaze Technologies LLC © 2014. All Rights Reserved.